WmBetter Pumpkin String Lights Detachable Polyester Halloween Pumpkin Lanterns with 10 LED lights for Halloween Decoration by Wmbetter at Outlet Shopping Guru. MPN: 1W-NGDC-1US5. Hurry! Limited time offer. Offer valid only while supplies last. 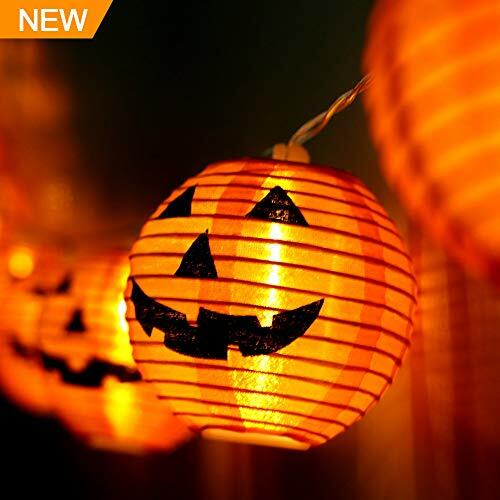 ''Wmbetter Pumpkin LED string lights for your impressed your November and December's parties! Brings stunning and joyful chic designs in your home. "Wmbetter Pumpkin LED string lights for your impressed your November and December's parties! Brings stunning and joyful chic designs in your home. Get this in your home you will never regret! Your guests and your family definitely will like these pumpkin lanterns. Click ""Add to Cart"" to get it now! If you have any questions about this product by Wmbetter, contact us by completing and submitting the form below. If you are looking for a specif part number, please include it with your message.